The 123rd Boston Marathon is finally here, and if you can’t be there in person to witness it, there are plenty of other ways to watch the race. The men’s wheelchair division leaves Hopkinton at 9:02 a.m., followed by the athletes in the women’s wheelchair division two minutes later. The elite women’s division starts at 9:32 a.m., and the elite men’s division starts at 10 a.m., according to the Boston Athletic Association website. The wheelchair athletes will be the first to finish, so be on the lookout around 10:20 a.m. for them to start crossing the finish line. 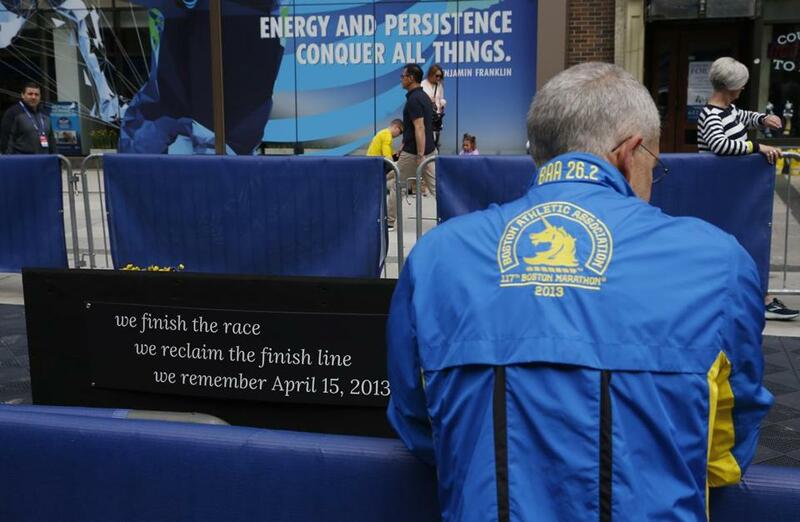 National coverage of the Boston Marathon will be broadcast from 8:30 a.m. to 1 p.m. on the NBC Sports Network. Local coverage will be provided by WBZ-TV. The pre-race show starts at 7 a.m. and live coverage of the race starts at 9 a.m. on WBZ Channel 4. The Boston Athletic Association says you can track the progress of your favorite Boston Marathon athlete by using the AT&T Athlete Alert program. Just text RUNNER to 234567 and sign up to receive alert messages as your athlete makes his or her way to the finish line.